If you are interested in participating in the Strawberry Stroll please fill out the Application Form by May 5th and e-mail to Nicole Fortier, chairperson, at nfortier@deanbank.com, or Jane Curran, co-chair, at janeframe@verizon.net. Reminder: Your 2014 Membership needs to be sent in before you can participate. Click here to download and print a Membership Application Form. 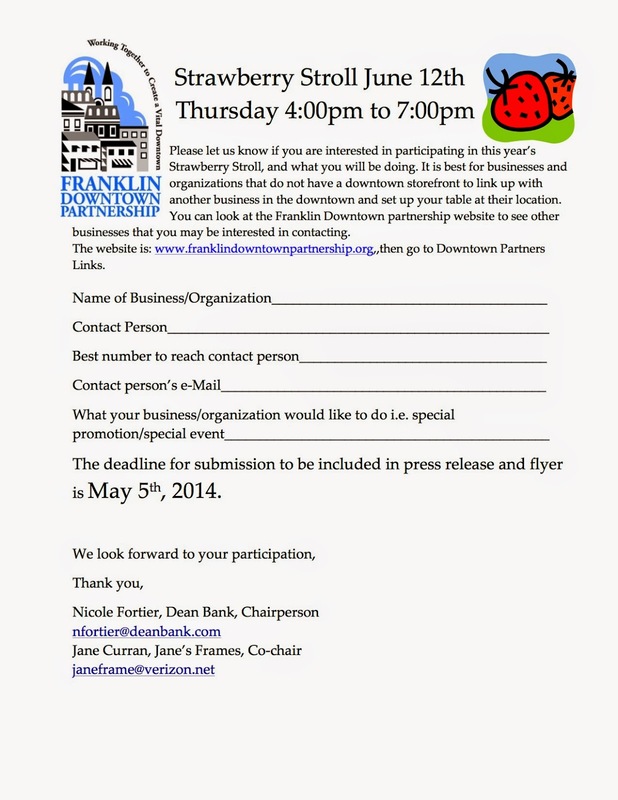 Please e-mail the FDP office at downtown.franklin@yahoo.com if you plan to sponsor Beautification Day or the Strawberry Stroll so we can get you on the promotional materials. 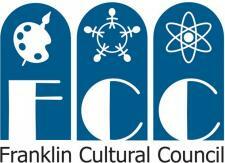 Click here to see our 2014 Sponsorship Opportunities. Click here to download and print our Sponsorship Registration Form.